SHAKIR: Nay! I swear by the day of resurrection. PICKTHAL: Nay, I swear by the accusing soul (that this Scripture is true). PICKTHAL: Thinketh man that We shall not assemble his bones? PICKTHAL: Yea, verily. We are Able to restore his very fingers! PICKTHAL: But man would fain deny what is before him. SHAKIR: Nay! man desires to give the lie to what is before him. PICKTHAL: He asketh: When will be this Day of Resurrection? PICKTHAL: On that day man will cry: Whither to flee! YUSUFALI: By no means! No place of safety! SHAKIR: By no means! there shall be no place of refuge! YUSUFALI: Before thy Lord (alone), that Day will be the place of rest. PICKTHAL: Unto thy Lord is the recourse that day. SHAKIR: With your Lord alone shall on that day be the place of rest. YUSUFALI: That Day will Man be told (all) that he put forward, and all that he put back. PICKTHAL: On that day man is told the tale of that which he hath sent before and left behind. SHAKIR: Man shall on that day be informed of what he sent before and (what he) put off. YUSUFALI: Even though he were to put up his excuses. PICKTHAL: Although he tender his excuses. SHAKIR: Though he puts forth his excuses. 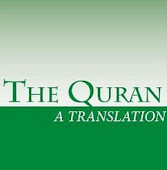 YUSUFALI: Move not thy tongue concerning the (Qur'an) to make haste therewith. PICKTHAL: Stir not thy tongue herewith to hasten it. PICKTHAL: Lo! upon Us (resteth) the putting together thereof and the reading thereof. SHAKIR: Surely on Us (devolves) the collecting of it and the reciting of it. SHAKIR: Therefore when We have recited it, follow its recitation. PICKTHAL: Then lo! upon Us (resteth) the explanation thereof. SHAKIR: Again on Us (devolves) the explaining of it. YUSUFALI: And leave alone the Hereafter. PICKTHAL: And neglect the Hereafter. SHAKIR: And neglect the hereafter. SHAKIR: Looking to their Lord. PICKTHAL: Thou wilt know that some great disaster is about to fall on them. SHAKIR: Knowing that there will be made to befall them some great calamity. YUSUFALI: And there will be a cry, "Who is a magician (to restore him)?" PICKTHAL: And men say: Where is the wizard (who can save him now)? SHAKIR: And it is said: Who will be a magician? YUSUFALI: That Day the Drive will be (all) to thy Lord! PICKTHAL: Unto thy Lord that day will be the driving. SHAKIR: To your Lord on that day shall be the driving. PICKTHAL: For he neither trusted, nor prayed. YUSUFALI: But on the contrary, he rejected Truth and turned away! PICKTHAL: But he denied and flouted. YUSUFALI: Then did he stalk to his family in full conceit! PICKTHAL: Then went he to his folk with glee. SHAKIR: Then he went to his followers, walking away in haughtiness. YUSUFALI: Again, Woe to thee, (O men! ), yea, woe! PICKTHAL: Again nearer unto thee and nearer (is the doom). SHAKIR: Again (consider how) nearer to you and nearer. YUSUFALI: Does man think that he will be left uncontrolled, (without purpose)? PICKTHAL: Thinketh man that he is to be left aimless? SHAKIR: Does man think that he is to be left to wander without an aim? YUSUFALI: Was he not a drop of sperm emitted (in lowly form)? PICKTHAL: Was he not a drop of fluid which gushed forth? YUSUFALI: Then did he become a leech-like clot; then did (Allah) make and fashion (him) in due proportion. SHAKIR: Then he was a clot of blood, so He created (him) then made (him) perfect. YUSUFALI: And of him He made two sexes, male and female. PICKTHAL: And made of him a pair, the male and female. SHAKIR: Then He made of him two kinds, the male and the female. YUSUFALI: Has not He, (the same), the power to give life to the dead? PICKTHAL: Is not He (Who doeth so) Able to bring the dead to life? SHAKIR: Is not He able to give life to the dead?